Amanda just showed me these glasses she came across in her constant search for fashion tidbits. They’re made by Alexander Hi Tek in London and obviously are suitable for my attention. 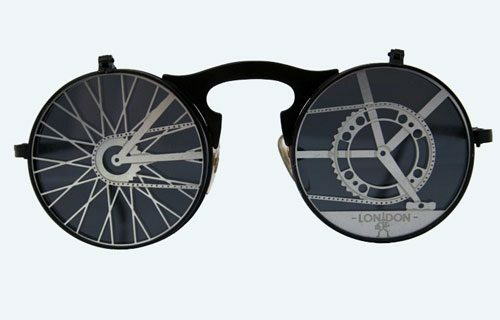 The lens covers flip up individually so as not to impair your vision while riding. One thing though, where’s the foot retention and derailleurs? The glasses are entitled Tour de France!